Dagenais, Maxime. "La Minerve". The Canadian Encyclopedia, 04 October 2017, Historica Canada. https://www.thecanadianencyclopedia.ca/en/article/la-minerve. Accessed 24 April 2019. La Minerve was a weekly French-language newspaper published in Montréal from 1826 to 1837 and from 1842 to 1899. It was founded in 1826 by Augustin-Norbert Morin and was purchased by Ludger Duvernay in 1827. Prior to 1837, the newspaper endorsed Louis-Joseph Papineau and the Parti patriote, promoting the party’s more radical agenda. 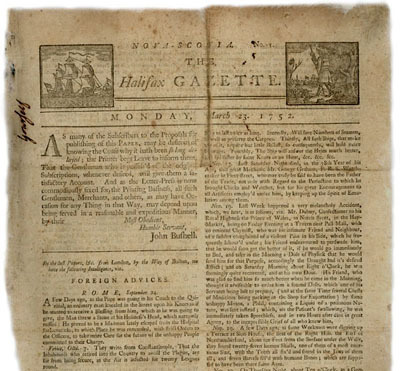 Shortly after the start of the Canadian Rebellion, the newspaper shut down for five years after Duvernay escaped to the United States. Following his return in 1842, Duvernay transformed his newspaper into a more moderate publication, endorsing Louis-Hippolyte La Fontaine’s Reformers. Following Duvernay’s death in 1852, the newspaper became a conservative organ. First circulated on 9 November 1826, La Minerve was created by Augustin-Norbert Morin, one of French Canada’s most important nationalists. Following the closure of Le Canadien, the party’s official mouthpiece, there were no French-language newspapers that endorsed the party’s ideology. The only newspaper that did so was the English-language Canadian Spectator, published by Jocelyn Waller. La Minerve was founded to fill this role. Under Morin, the newspaper struggled to gain subscribers, which led to financial difficulties. In fact, a mere 20 days after publishing its first issue, Morin stopped. A few months later, he sold it to fellow ​Patriote Ludger Duvernay. It was under the guidance of Ludger Duvernay that La Minerve is best remembered. Though the newspaper had a modest number of subscribers (1,300 by 1832), its influence was significant as its editorials were frequently read out loud at public gatherings for the illiterate of the colony. It became the party’s most influential mouthpiece and according to Morin, the colony’s “national newspaper.” Many Patriote leaders, including Morin, Louis-Joseph Papineau and Denis-Benjamin Viger, penned editorials for the newspaper. Following Duvernay’s death in 1852, the newspaper transformed from moderate and reformist to conservative. Ownership first passed on to his sons, Louis-Napoléon and Ludger-Denis. 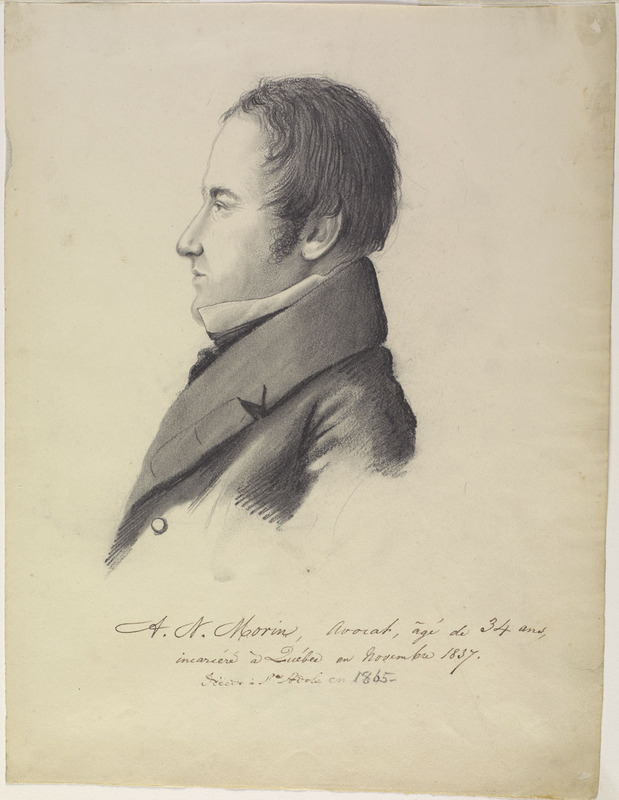 During their tenure, they employed editors with close ties to the Conservatives, including Évariste Gélinas (1861‒65) and Joseph-Alfred Norbert Provencher (1865‒69). 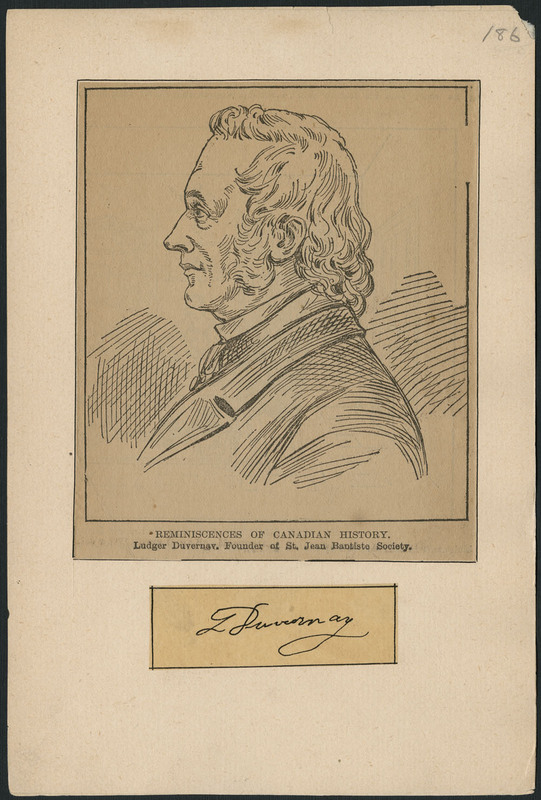 Provencher even ran for the Liberal-Conservative Party in 1867, and used the newspaper to defend Confederation. 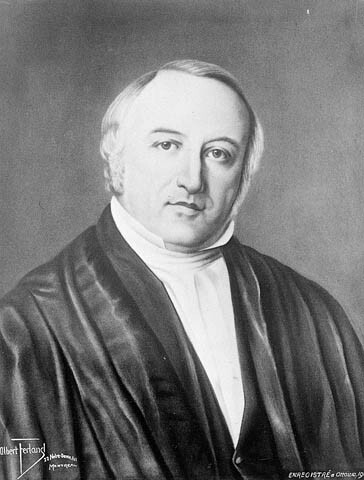 In 1869, Arthur Dansereau became the new editor-in-chief, and in 1879, the sole owner after the brothers sold off their shares as a result of financial difficulties. Under Dansereau, the newspaper continued to endorse George-Étienne Cartier and the Liberal-Conservative Party. In 1880, Dansereau sold his shares to the Compagnie d'imprimerie de La Minerve, a group organized by Joseph Tassé, who became the newspaper’s new editor. Under Tassé, the newspaper remained a conservative organ, even defending the party after the execution of Louis Riel, blaming the Métis and Riel of having become “ambitious and grasping.” (see Red River Rebellion). In 1889, the newspaper was leased to Trefflé Berthiaume, who disagreed with Tassé’s editorial policy.The following year, Tassé was dismissed, a decision that led to a legal battle. The case was settled by mutual agreement a year later — Tassé returned as editor and Berthiaume paid no penalties — but the newspaper struggled financially. In 1892, the struggling newspaper was sold to Eusèbe Sénécal (see also Sénécal). However, it would not survive much longer. According to historian Jacques Michon, financial difficulties, transformations in the newspaper world, and more importantly, Liberal victories in both Québec and Ottawa, resulted in the end of the conservative mouthpiece. It stopped circulating in 1897. Though a conservative interest group attempted to relaunch it a year later, it ended for good in 1899.